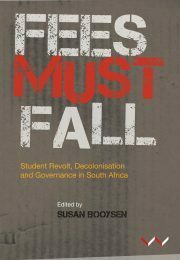 Susan Booysen is Professor at the Wits School of Governance. She is the author of Dominance and Decline: The ANC in the Time of Zuma (Wits University Press: 2015), The African National Congress and the Regeneration of Political Power (Wits University Press: 2011). This solid scholarship, nuanced and diverse, is everything that the bitter on-line polemics of a few conservatives is not. The multidisciplinary scope of political scientists, sociologists, an economist and a philosopher ensures breadth in coverage. The diversity of the authors’ perspectives gives a welcome spectrum of views.